Google Penalties are a recurring hot topic in the search engine optimisation world. Dating back to the early 2010s, offending sites have been penalised with major SERP hits at the hands of rollouts of Google’s Penguin, Panda, and other algorithms. 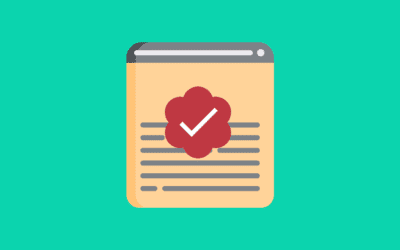 Those familiar with the terrain may know that Google also issues manual penalties to sites that come to the attention of Google’s staff, for infringements of guidelines (we will revisit the topic of manual penalties later in this article). All of this can give webmasters a lot to consider, which is why some premium SEO tools include features to help with penalty checking. There is also a host of specialised penalty checking tools which tend to offer a more ‘easy to check’ service. 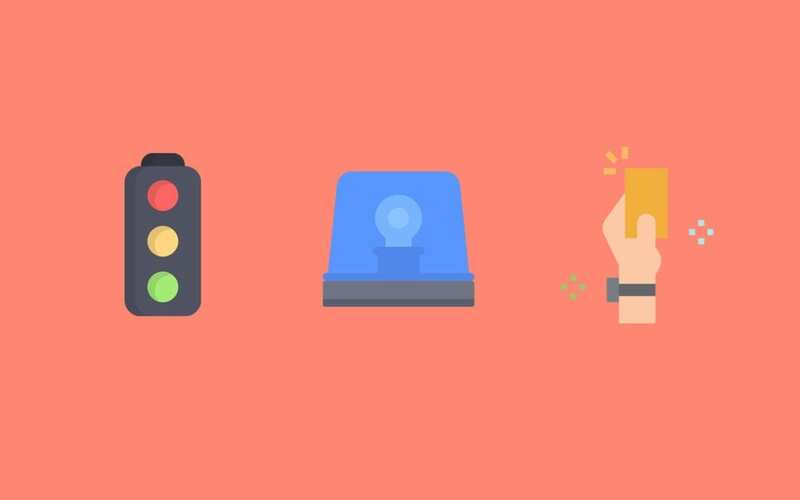 In this post, we’ve reviewed 7 of the best tools of different kinds, to help make Google penalty checking more approachable and manageable. SEMrush is a forerunner SEO tool space, boasting clients such as Ebay, HP, and Booking.com. 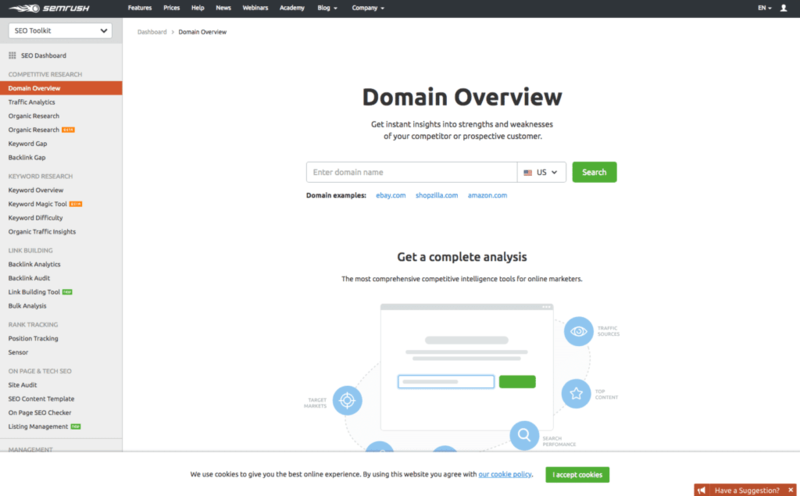 The free version SEMrush’s SEO tool can be used to create a project for a single domain. The tool crawls the chosen domain and gives access to a host of reports including ‘site audit’, ‘position tracking’ and ‘link building’. There is a lot more to be said for what you can do with SEMrush. Worthy of note here though: if you search for ‘Google Penalty’ in SEMrush’s Knowledge Base, the first result links to their backlink audit tool. This isn’t a coincidence. Bad backlinks are a violation of Google’s Webmaster Guidelines, and accordingly their algorithms are set to penalise websites deemed to be employing this technique. Monthly plans start at $99.95 for the Pro account and go up to $400 and beyond with their Enterprise account. You can also save on the cost of each monthly account by committing to an annual plan. Mozcast is a unique and fun take on Google Penalty Checking. This tool compiles data on how much Google’s algorithms have changed in the past 24 hours, and represents that data as a daily weather forecast. 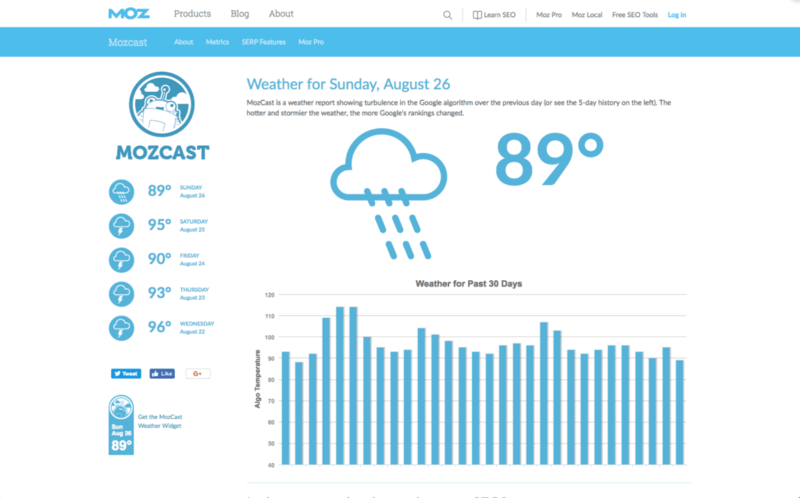 For reference, the Mozcast about page says the average daily forecast is about 70F. So a forecast of 50F with a cloud means little change, whereas a forecast of 107F with storm-cloud means lots of change. This is handy if you’ve noticed a sudden drop in traffic to your site, and want a glancing view of whether there has been an algorithm change that may have been the cause. If you suspect change at Google has impacted your traffic, Mozcast links to a free 30 day trial of Moz-pro, the complete SEO toolset offered by Moz. The trial turns into a $179 per month subscription at the end of the 30 day period. Panguin’s intended purpose is to Google Penalty check, and it’s easy to use. 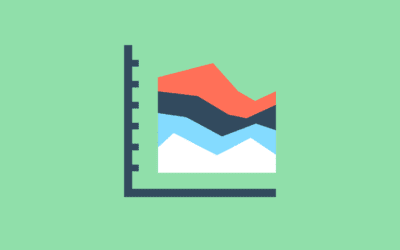 If your website is connected to a Google Analytics account, you can sign into Panguin and start viewing your penalty graph in seconds, for free. Once you’re logged in, you’ll see a line graph of the past two years of your site’s new and organic users. The various colour-coded lines in the background of the graph represent changes to specific algorithms or practices that have occurred over the two year period. This makes it easy to see if a specific kind of change affects your traffic over time. To accompany the graph there’s also a Panguin Timeline, which dates and sources each change on the graph. Overall this is an informative and accessible tool, and a great entry point to the various patterns and concepts behind Google Penalties. At the start, we touched on the difference between penalties caused by Google Algorithms, and manual penalties. As noted, manual penalties can be issued to sites that come to the attention of Google’s staff, for infringements of guidelines. The Google Search Console is the place you’ll receive notifications if you have been issued with a manual penalty, and it is also the place you can submit requests to have any manual penalties canceled. As such, the Search Console is really a must-have for Google Penalty Checking. 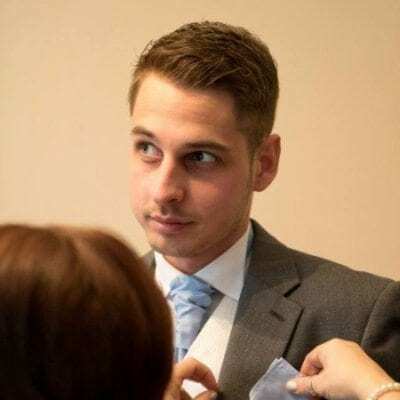 More broadly, the Search Console’s features are organised around enabling users to follow Google’s best practices for Search Engine Optimisation. 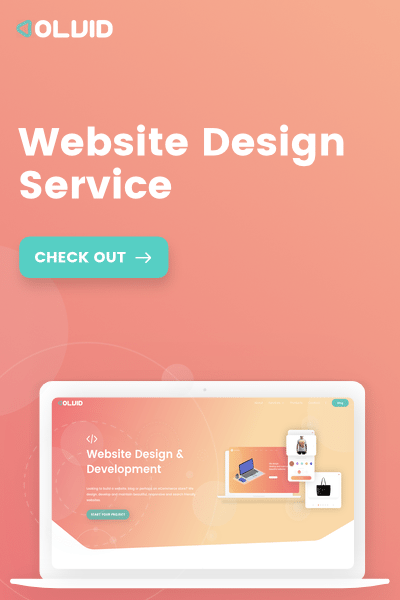 Features include: regular site crawling to check performance and markup errors, search appearance data, linking data, mobile usability errors, security issues and more. Finally, if Google Search Console sounds new, you may already know it by its previous name, Google Webmaster Tools. Ignore the Search Console at your peril. 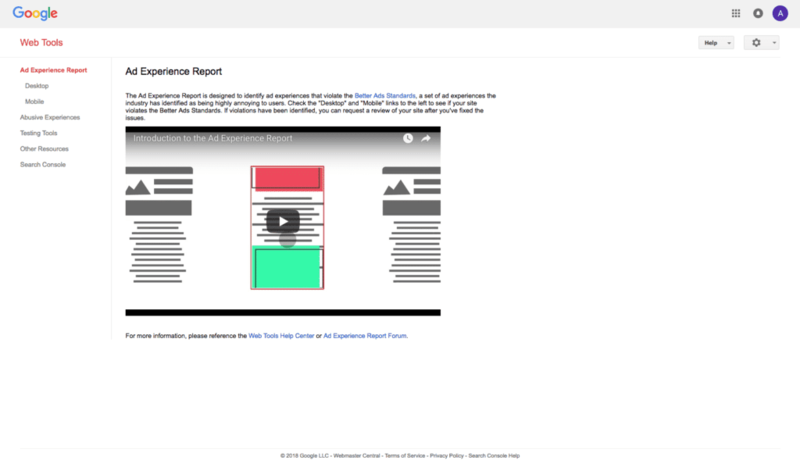 Rank Ranger is a premium “All-in-One SEO & Marketing Software for Pros”. What stands out to us about Rank Ranger, is their emphasis on customisation of metrics. It is true that the web data a user wants to see may differ from business to business, and in this respect, Rank Ranger are somewhat unique in what they have to offer in the SEO software space. In addition to the premium service, Rank Ranger provides a couple of free handy tools for Google penalty checking. The first is The Rank Risk Index. 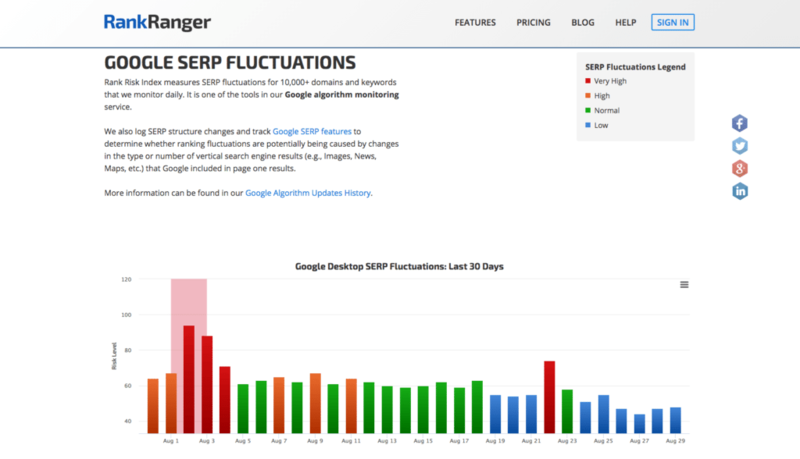 This tool’s intended use is daily monitoring of Google algorithm changes. There are 30 and 90 day views of both desktop and mobile risk fluctuation graphs. Unlike Panguin, there is no login to view your traffic alongside algorithmic data, because the Rank Risk Index is that simple, the graph indicators go up if there is more risk of a disturbance to your traffic. The second free tool is called Google Algorithm Updates – Latest News & History. This is comparable to the timeline that Panguin offer, but with input from Rank Ranger. We think both tools are potentially useful and are worth bookmarking in your browser for convenience. You can sign up for a free 30 day trial (no credit card needed) on Rank Ranger’s pricing page. Paid plans start at $69 per month. 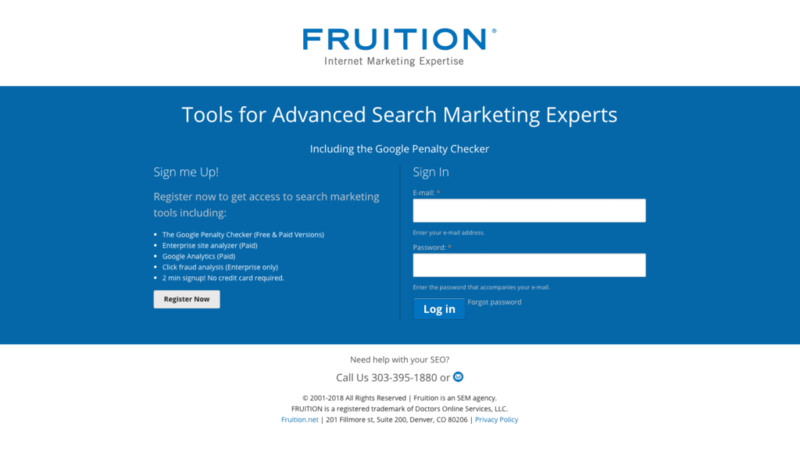 Fruition are a digital marketing and web development agency who provide a number of services, one of which is their Google penalty checker tool. 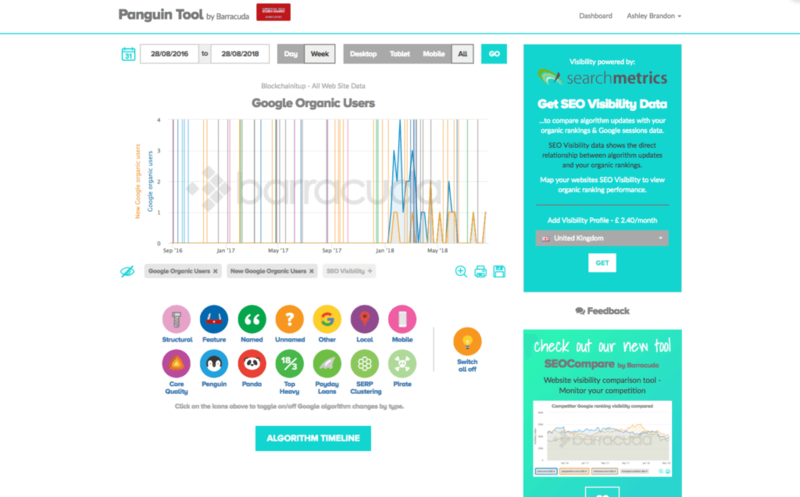 The Fruition Google Penalty Checker Tool is a ‘Freemium’ service. The company website notes that the formula they use for their tool is proprietary, and utilises in-house math PHds as well as insider information about industry changes. As such we would say that this tool sits somewhere between comprehensive SEO tools like SEMrush, and more specialised penalty checkers such as Mozcast. Other features of the tool include: Use of the tool with up to 2 domains, a 1 minute set-up, and unlimited traffic. 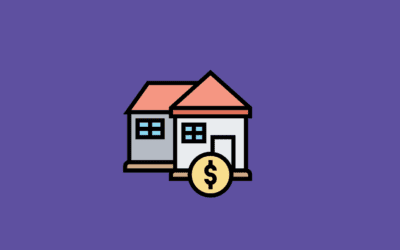 The paid version which is aimed at agencies and SMEs also includes: Personal support from the team, as well as the capability to generate reports for clients. Note that requirements to use the tool include more than 5000 search visits per month, and at least 6 months worth of Google Analytics data. Feinternational are website brokers who offer a range of web related services, among which is their simple free tool for Google Penalty checking. Like Mozcast and Panguin, this tool doesn’t require any signing-up or signing-in. Simply enter a domain and the site will return a graph which displays the past few years of organic traffic layered on top of coloured representations of major algorithm changes and rollouts. While the data displayed by this penalty checker is less detailed than some of the other tools we have reviewed, Feinternational note that their data is provided by Semrush, and algorithm change information is provided by Moz. So this is certainly a worthwhile alternative to other ‘easy to check’ tools. 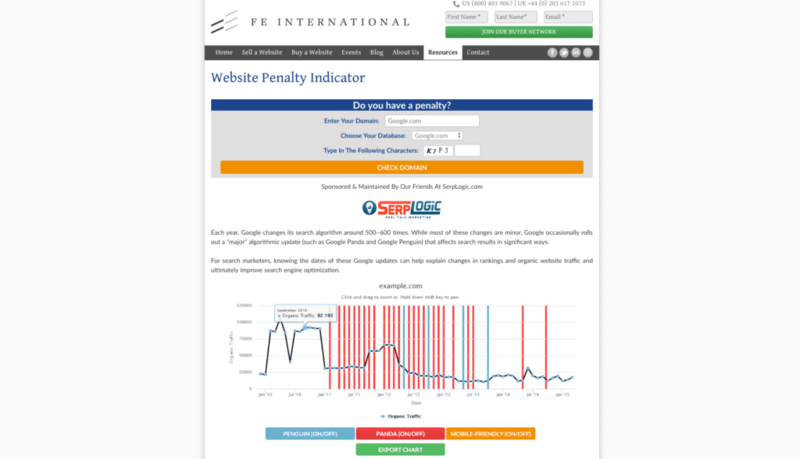 Finally, Feinternational’s Google penalty checker tool allows you to zoom in on the graph to inspect time periods more carefully. It also features an export function, which handily downloads a png of the graph. As we said at the start, Google penalty checking can give webmasters a lot to deal with, especially for those who are new to it, or who are needing to rethink their approach. In either case, we hope this post has helped to guide you towards getting a handle on the subject.